Tax Title Services – Company I have used to get marketable title on a tax deed in 30-45 days without having to do a quiet title action. Trivia #1: *Which U.S. billionaire still lives in the home he bought in 1958 for $31,500? Another fact, Property tax bills comes due by March 31st in Florida and if they are not paid by then they are considered delinquent and could be sold at a public auction after 2 years. 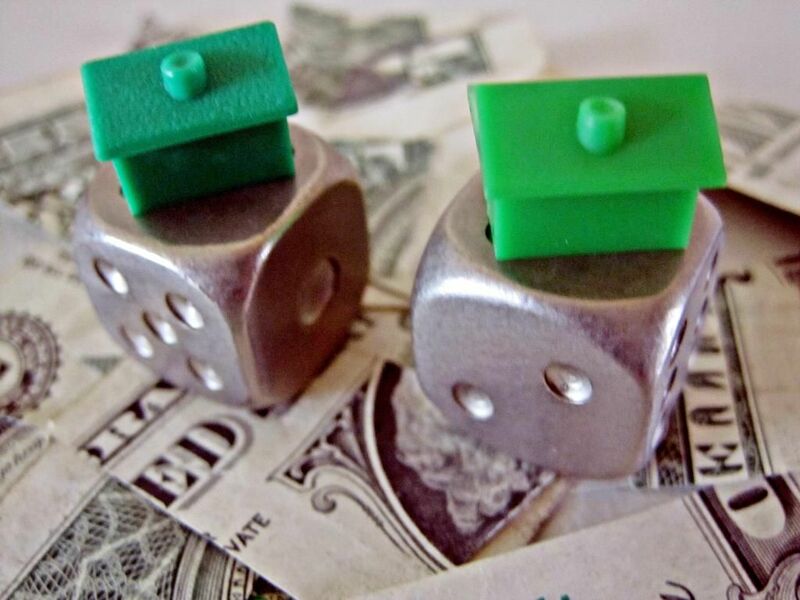 So what happens if a homeowner or lender doesn’t know their property taxes are due? The tax assessors send tax bills to homeowners annually. If you haven’t received your property tax bill, or if your address differs from the one shown on your tax bill and you have a permanent change of address, you need to contact the county to update your mailing address. As investors we sometimes want to maintain our privacy but the tax bill is one area you want to make sure ‘the man’ knows exactly how to find you to deliver the bill and any other notices. When a property has become so far delinquent that it is headed to the tax deed sale, the county sends out warning letters containing the notice of the auction. The letters go the property’s owners’ last known mailing address as well as other interested parties (lien holders). Although some counties will go the extra mile to research further if a property owners’ correct address, they are not required to bend over backwards to do this additional research. Homeowners who fail to update their address will not get the tax bill nor the all important Notice of the Auction. This can pose an interesting problem for bidders at the auction. Bidders have to ascertain whether or not the county properly notified the owner in order to prevent the homeowner’s from challenging the sale later. Most counties have been conducting these sales for 100 years or more and are pretty good at notifying the owners and interested parties. Trivia #2: What time of year is considered the busiest for homebuyers and sellers? Part of the process involves: Advertising in the local public notice newspaper for several weeks prior to the public auction; It also involves sending regular mail and/or certified mail notices of the sale; There are times when a sheriff’s deputy is sent to serve the ‘interested parties’ with the official warning letter. The warning letter contains the location of auction, amount of taxes owed, how to payoff the taxes (redeem) as well as how to make the payment to prevent the sale. Buying at the tax deed auction requires that bidders understand the Notification process in order to get marketable title later. Happy New Year! I hope you rang in the new year with optimism, ambition and love. Now is the time to take advantage of the opportunities you may have neglected last year. 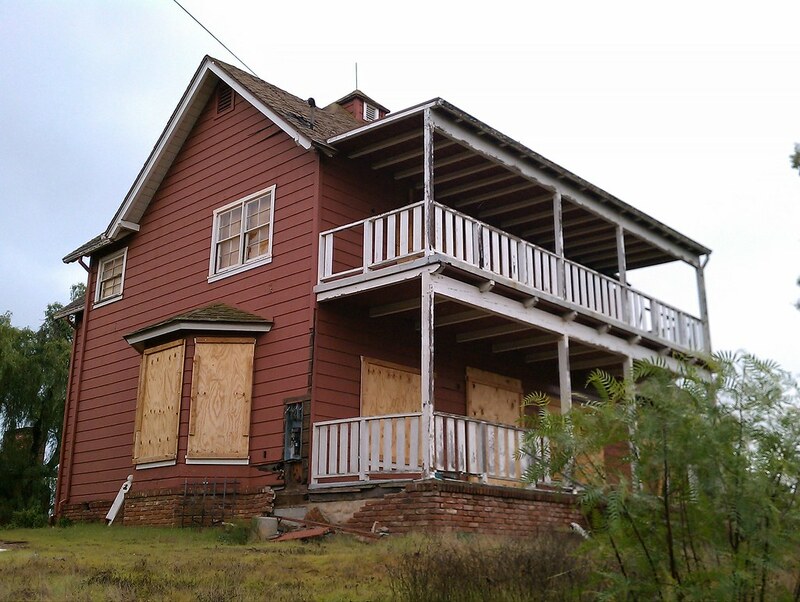 As a person who buys properties at the tax deed auctions, I am in and out of vacant houses all the time. One issues that I am always asked about is security. How do you maintain your safety when you are in a vacant property? Because the house is empty there may be no one checking on the property to make sure vagrants, squatters or unwanted people stay out. Is it a good idea to enter a vacant house alone? The answer is NO. I try to make sure I have someone with me at all times when I am looking at vacant properties. What happens if no one is available to go see the properties with you? If no one can go with me the next best option I chose is to ask a neighbors that you already know. If you are alone nosey neighbors can work to your advantage. They are watching everything that is going on in the neighborhood and often they know more about that house then anyone else on the block. Picking the right neighbor is a judgment call because you don’t want to pick a person who may bring more harm than good. I always say hello and strike up a short conversation with the neighbors to let them I know will be in the house. When all else fails and no one is available I try to check in with a loved one to let them know where I am and the situation, that way they will check on me if they don’t hear back. There’s also an app for that! Seriously, there is an app for your smartphone that was built for real estate agents but works just as well for real estate investors. AgentArmor is an app that puts mobile security in the palm of your hands. It has settings for showing properties, open houses, listings etc. The app allows you to record a voice memo of where you are, the vehicle description of who you are meeting at the property and even allows you to captures a copy of the driver’s license of who you are showing the property to at that time. All the data is uploaded to the AgentArmor servers and in case of an emergency it is shared with your office, another contact and law enforcement. The app checks-in with you later and at that time you are asked to enter a pin to let it know you are ok. If everything is not ok, you tap call 911. If you don’t check-in the prescribed time period your emergency contacts are notified via text and email as well as the cops. GPS coordinates are sent so police can respond in case of an emergency. This isn’t just for women… The app’s youtube video states that 30% of all crimes to realtors are committed against male realtors. You can download the app in the apps store on your smartphone or go to their website or youtube channel for details. It’s available right now in the Google Play and the Apple’s App Store. Another important safety tip when you are inside of a home with someone you don’t know is to always maintain a direct access to the exit. Don’t let anyone stand between you and a door. If you have to flee the area you want direct access to the exits. Never let anyone stand between you and any exit in a house. Beware of your surroundings and maintain a confident posture. Keep an eye out for potential danger. Beware of who may be watching you. The bad guys (or girls) see you coming long before you see them. Always make direct eye contact with people. Walk with confidence even if you lack it because people can sense fear. You know that saying, ‘fake it until you make it.’ That applies here too. I recently bought a keychain called the Munio self defense key chain. It was created by a martial arts instructor. It is a non-lethal and there are no legal restrictions so you can carry it anywhere. The keychain’s innocent and attractive appearance makes it easy to carry. If attacked you can use it a defensive weapon. There are similar products on the market place like the Kuboton. Wishing you a Safe and Happy New Year! In addition to being the immediate Past President of CFRI, Sandra Edmond is also a Realtor ® and a licensed real estate agent with Matrix International Realty. She has been buying tax deeds & liens full time since 2004, a CFRI Success Team & Lifetime member and is known as the Queen Of Tax Deeds. Visit her at BuyingTaxDeeds.com or ArdnasInc.com for more safety tips and information. Those of you who have attended the tax deed auctions are very familiar with that term. The clerks gives this warning at the beginning of very auction. For such a small sentence it carries A LOT of weight. Why is this that important? This can mean you the property you bought can and will be subject to: taxes for the current year, Federal Tax Liens, and Municipal and Special District taxes, if any. And possible other liens if the tax deed process was not conducted properly. This is why you want to make sure you are really buying what you are bidding on and you have fully researched the property and looked at a complete title search history. Bottom line, it’s not worth the hassle to bid on property you haven’t done your research on. Three properties were auctioned off at an undisclosed Florida tax deed auction the last day of October. Take a look at how crowded the sale was as bidders nudged each other for room…NOT. This auction was more like a ghost town ironically on Halloween. Not a one person showed up to the auction. Despite the zero attendance the clerks in charge of the sale pushed their little cart with the files out at to the steps and began the auction anyway. Afterall it’s still a a state required tax sale whether or not there are bidders present… the auction must go one. By the way, all the three properties were vacant lots. What happens if no one bids on these properties? Sometimes they go directly to the tax certificate holder or they are put on a list that anyone can buy directly from after the sale. My first tax deed came off of one of those lists… we made $30,000 off it. Property Tax Bills in the Mail! Some may call it a trick, some a treat but it’s that time of year when the property tax bills are in the mail. Broward County, FL Tax officials mailed out the tax bills on Nov 1st while counties like Orange County mailed the bills out on October 31st (Halloween). Just about all the county tax collectors are sending the tax bills out. Broward County Records, Taxes and Treasury Division has mailed more than 430,000 property tax bills for 2012, which must be paid no later than March 31, 2013 to avoid penalties and delinquency fees. Property taxes may be paid as early as November 1, 2012, to take advantage of discounts. A 4 percent discount applies to taxes paid in November; a 3 percent discount applies in December; a 2 percent discount in January; and a 1 percent discount in February. Property owners without mortgages, or those who do not make use of an escrow arrangement, may pay their taxes in person or by mail to any of the tax collectors throughout Florida. You can also make partial payments throughout the year but you have to contact the tax collector’s office to take advantage of the program. Find your tax collector’s office here. Bloomberg.com reports that the Clerk of the Courts for Miami-Dade County, is suing Fannie Mae and Freddie Mac. The home mortgage-finance companies ,now under government control, is on the hot seat in the Sunshine State and few other counties across the US over the same issue. Clerk Harvey Ruvin filed the lawsuit in federal court on October 29th alleging Fannie and Freddie improperly claimed tax exemptions, which amounts to 60 cents per $100 of the value of single-family residences. Adam M. Schachter, a lawyer for the county, said in an e-mailed statement to Bloomberg.com, “Fannie Mae and Freddie Mac are parties to thousands of real estate transactions, particularly here in South Florida, and they are shirking their responsibility to pay their fair share of transfer taxes.” Brad German, a spokesman for Freddie Mac, and Andrew Wilson, a spokesman for Fannie Mae, didn’t respond to Bloomberg.com’s e-mail messages seeking comment on the lawsuit. The website also says the Miami-Dade clerk claims that tax exemptions for federal agencies don’t apply to Fannie Mae and Freddie Mac because, while federally chartered, “they are private corporations and not government entities,” according to the lawsuit. ONE MORE TRIP Before the year ends – All ABOARD! Announcement: I will be teaching the, “2 Day Tax Deed and Lien Field Trip.” I thought the field trip in September was going to be the last one of the year time but we are holding one more by popular demand. This one will be back in Orlando and not the Ft. Lauderdale/ Miami area. You can still register and learn from an expert on buying real estate through tax deeds and liens. The first day is in house as I teach you how to do your research and due diligence on tax deeds and liens. The second day we all travel to an auction and get hands on experience. It’s not too late to book your seat and join the rest of us for an awesome event. Details & Sign Up Here .